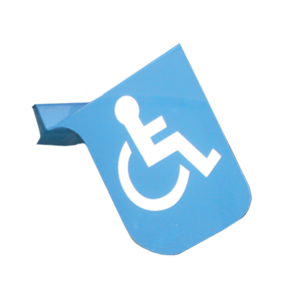 This access - aid can be fitted to the window on either side of a car. It can be used in a disabled bay, or a conventional bay if no disabled bays are available to warn other drivers that you require extra space. Every extra inch will make your life considerably easier. It will not guarantee better access, but it will make those who park next to you more aware. It may also be used as a distress aid in certain circumstances. This access - aid can be fitted to the window on either side of a car. It can be used in a disabled bay, or a conventional bay if no disabled bays are available to warn other drivers that you require extra space. Every extra inch will make your life considerably easier. It will not guarantee better access, but it will make those who park next to you more aware. It may also be used as a distress aid in certain circumstances.